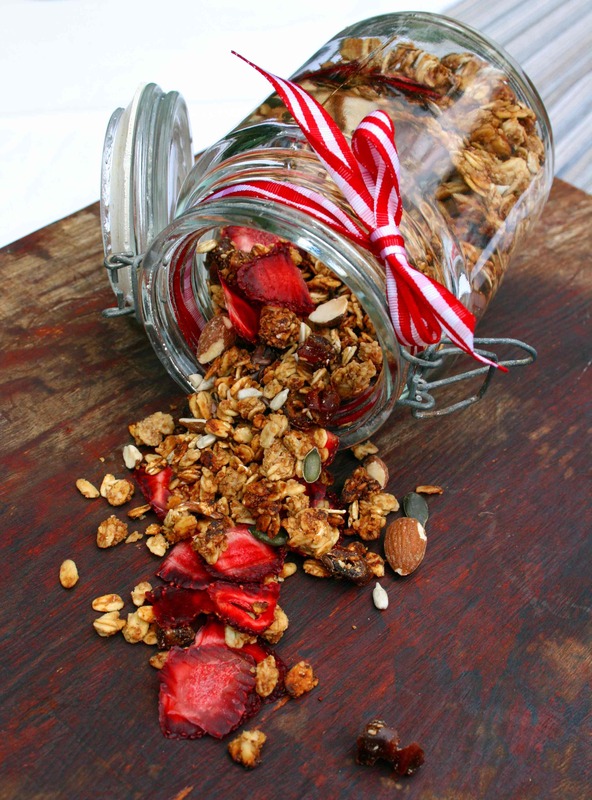 The baked goodness of rolled oats, the nutty flavour of toasted seeds and the delicious sweetness of dried strawberries, all come together in this strawberry granola. It’s tasty on its own, but ideal when drowned in milk or yoghurt. No artificial preservatives, 100% natural. Cappeny Estates is arguably KwaZulu-Natal’s most popular strawberry farm. 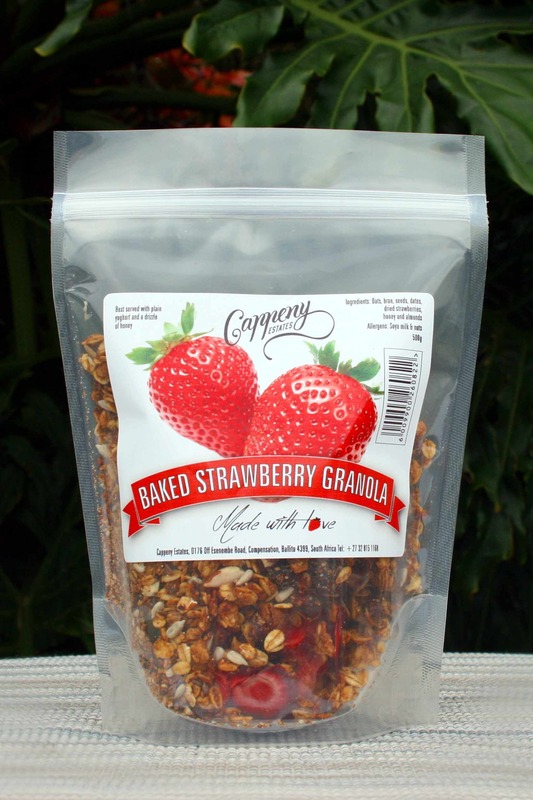 It is the only commercial strawberry farm located in the beautiful coastal town of Ballito. Nestled between the rolling hills of iLembe and the Indian Ocean, a visit to Cappeny Estates is exciting as it is inspiring. The 17-hectare farm was built entirely from scratch by the Gumede Family, who are first-generation farmers and proud members of the Ballito community. The journey is one of research, courage and passion. It is an idea that began its first steps in 2010, in a region not synonymous for growing strawberries but sugar cane. What started from a broad vision led to extensive worldwide travels in research to various strawberry farms. Converting this vision into reality has resulted in Cappeny Estates featuring on several local and global media platforms. This is Cappeny Estates’ strawberry farming journey.